It is said that Yoshitsune Minamoto went across to Hokkaido from this legenday area “Tappi”. “Seikan Tunnel”A major project of the century. It is 24 years after the construction has started. We will visit the area “Tappi cape” which a famous singer Sayuri Ishikawa sings in her song. 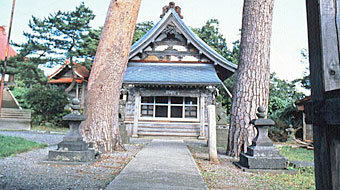 We will also visit Oku Tsugaru surroundings. A grasping course. JR Shin Aomori station・ Aomori airport—Minmaya・ Gikeji temple・ Maya-ishi, Tappizaki・ Stairway National Road—Memorial hall of Seikan Tunnel・Service tunnel—Tappaku line (Choukan dai・ Nanatsu daki)—Lake Jyusanko (Corbicula Ramen)—Kanegi・Shayoukan; Memorial hall of Osamu Dazai—Hall of Tsugaru Shamisen—Goshogawara・House of Tachineputa—JR Hirosaki station, hotels inside Hirosaki city. In Aomori, Yoshitsune’s northbound legend still remains. The stormy ocean prevented Yoshitsune of going to Hokkaido, and he continued to pray 3 whole days and nights to the Kannon statue, and finally with 3 fine horses leading him, he crossed the sea to Hokkaido. The Minmaya, Gikeji, Maya-ishi, Aoiwa became widely known as a legend. 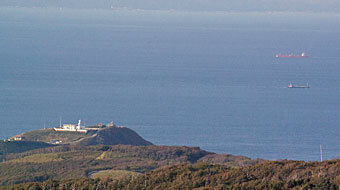 The most northern cappe in Tsugaru peninsula situated at 41 degrees and 15 minutes north. The name Tappi comes from the word Tampa in Ainu language dialect. The cappe is a cliff of 100 meters high and the wind always blows as high as 10 meters. 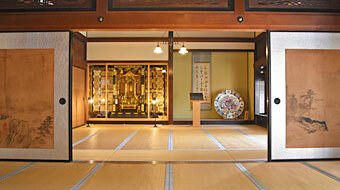 Tombstone of Shoin Yoshida which he wrote a poem of what he felt when he visited here is kept. Also, a song tombstone of Sayuri Ishikawa’s biggest hit song “Tsugaru kaikyo fuyugeshiki” was built continued from the Hakkoda mountains. The road which tied the town along the coast up to the ground of the oil-lamp stand was a neighborhood road. The origin is that the people who were involved gave permission as a natural road with just the drawing. (Length of 388m, Elevation difference of 70m, 362 stairways) Of course vehicles are not allowed. The Tappaku line is a beauty spot from Tappizaki to Nakahaku machi. The memorial hall displays the world’s second undersea tunnel( 53.85km) from the idea to the completion by using material panels and three dimensional models. 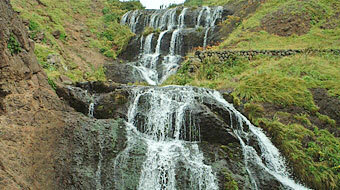 The drift experience of Showa is situated at 140m undersea which you can descend by the cable car. In a corner where it was used as a service tunnel, machines and appliances which were actually used are displayed, and you can enjoy the ambience of the big construction job site by hearing the information guide. admission fee for Memorial hall / Adults 400 yen, Elementary school students 200 yen. ticket for the service tunnel / Adults 1,000 yen, Elementary school students 500 yen. In the middle ages, ruled over by the Ando family, Tosaminato which prospered and was counted in Japan’s “3 ports and 7 harbors”, spread their ocean commerce so far to Oga, Echizen, Setouchi, and Kinki. However in 1340, they were struck by Tsunami (a tidal wave) and minato was damaged. Also, attacked by Nanbu-shi they lost Fukushima and Karakawa castle and ran to Matsumae and never came back. 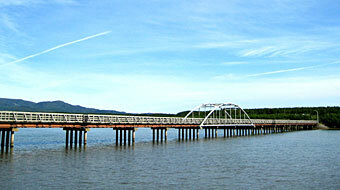 Lake Jyusanko is also famous for the production of corbicula. The resource center where you can see the house in which Osamu Dazai grew up. This is a roof purline building built by Tsushima Gen-emon (Osamu Dazai’s father and a big land owner of the Meiji period). The building was finished on June of the 40th year of Meiji. Cypress wood (Japan’s 3 major beautiful forest) was used even in the rice storehouse. It has 11 rooms with an approximate area of 917 square meters on the first floor, and 8 rooms with an approximate area of 383 square meter on the 2nd floor. It is a grand mansion extending over an area of approximately 2244 square meters, with attached buildings and a Japanese garden with ponds. The house displays 600 items including photos, clothes which Dazai wore, manuscript written in his hand. Tsugaru Shamisen (3 stringed instrument) assembly hall. In Kanagi which is called the origin of Tsugaru Shamisen (3 stringed instrument), you can learn the history of Shamisen and hear a live performance. 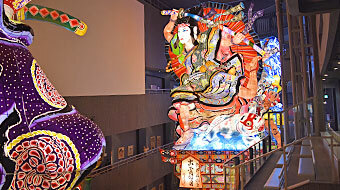 The hall introduces Nitabo・Kaseno momo, those who are called the routes of Tsugaru shamisen, and the display corner of Mihashi Michiya is widely liked. 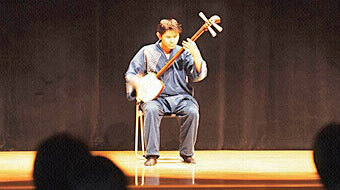 A live performance of Shamisen is held from April to November. Admission fee / Adults 500 yen, Highschool and University students 300 yen, Elementary and Junior highschool students 200 yen. Visitors can see the Tachineputa of 22m high, 6m width, 7t weight, the same height as the 7th floor buidling, by descending the slope from the 4th floor to the 1st floor. 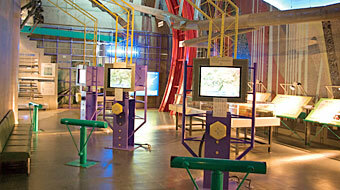 Visitors can also see all year around the production studio, also experience paper pasting and coloring. From the 3rd floor observation deck, there is a screening of Tachineputa, Matsuri experience theater, and you can experience the ambience of the festival. admission fee / adults 600 yen, Highschool students 450 yen, elementary and junior highschool students 250 yen.